this is gorgeous. the whole set. 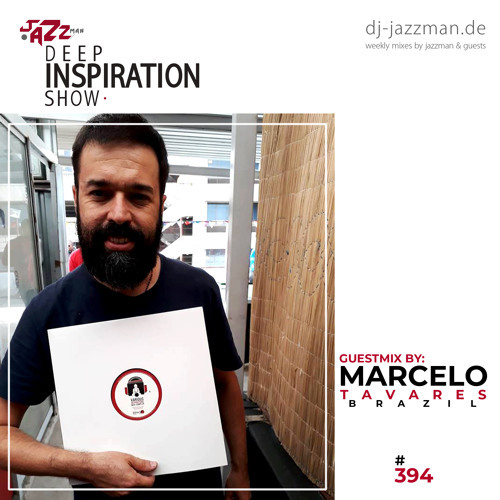 Download Deep Inspiration Show 394 "Guestmix by Marcelo Tavares (Brazil) [Deep Space Podcast]" Buy Deep Inspiration Show 394 "Guestmix by Marcelo Tavares (Brazil) [Deep Space Podcast]"
Users who like Deep Inspiration Show 394 "Guestmix by Marcelo Tavares (Brazil) [Deep Space Podcast]"
Users who reposted Deep Inspiration Show 394 "Guestmix by Marcelo Tavares (Brazil) [Deep Space Podcast]"
Playlists containing Deep Inspiration Show 394 "Guestmix by Marcelo Tavares (Brazil) [Deep Space Podcast]"
More tracks like Deep Inspiration Show 394 "Guestmix by Marcelo Tavares (Brazil) [Deep Space Podcast]"